Remodeling your kitchen and don’t know where to start?, New Age Global Builders is the Kitchen remodeling leader in the boroughs of NYC which of course includes from Queens to Manhattan, and of course Long Island, NYC. We use the highest quality materials and have a vast selection of materials to choose from. We guide you through the process of selecting the best choices to fit your style. 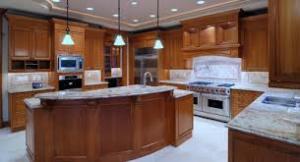 We can design a brand new custom kitchen or simply remodel the kitchen you already have. 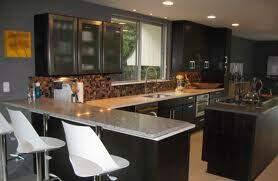 Entering the “New Age” for kitchen remodeling is no simple task. It starts by using only the newest technology in home kitchens along with building many of the parts from scratch. Buying all the parts from home depot and giving it to some kitchen remodeling contractor to slap onto you wall is not the way to go. Weighing all your options and seeing the different routes you can take whether custom or store purchased in the way to attain the kitchen remodeling work of your dreams. Call (718) 690-1361. We also provide contracting services for hotel renovation, hotel construction, and retail store construction services. We are licensed and insured NYC commercial contractors, NYC hotel contractors and NYC retail contractors. Contemporary, traditional, or modern, it’s your kitchen. We will take down the old cabinets and install the new ones while adding new features. Want an island cook top, commercial grade appliances, a pot rack, or a designer back-splash? Want a wine fridge or a second sink on the island? From Modern pricey NYC and Manhattan Penthouse Kitchens to gorgeous and more affordable kitchens like you would find in middle class Long Island and Queens – New Age Global Builders means a perfect kitchen with one solution. Call (718) 690-1361 or 1 now. New Age Global Builders is a complete solution for the interior of your home. Are you Looking to remodel your kitchen and you aren’t sure what direction to more towards regarding kitchen cabinets? It’s easy to get overwhelmed by the abundance of your options. Kitchen remodeling is usually quite pricey and time-consuming so you need to make the most of this opportunity. 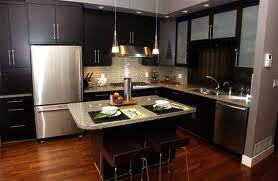 Your choice of cabinets is very important as cabinets have a powerful effect on the overall appearance of your kitchen. Read on to learn more about glass kitchen cabinets and wooden kitchen cabinets. If you own beautiful kitchenware and don’t mind keeping it in order everyday then you may gravitate towards owning class cabinets. 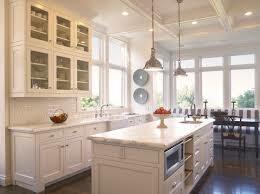 With glass kitchen cabinets, your beautiful kitchenware serves a decorative purpose as well. Many people who have glass cabinets like to install lighting to better complement the design. You can choose between pebbled glass, textured glass, floral glass, frosted glass, seeded glass, and swirled glass for your kitchen cabinets. Each one gives out a unique look and your choice will depend heavily on your taste and theme. There is little difference between these different materials. Just choose what looks best in your kitchen. Just remember that the clear advantage with glass is that you can see right through it so you know immediately what is inside. Glass kitchen cabinets are also one of the most flexible kinds of cabinetry you can choose. Each kind of glass offers different levels of transparency making it one of the best materials to get creative with. Glass cabinets are also a good choice for some smaller kitchens. If used properly, you can give the illusion of a larger space. You can also use the decorative space for things other than dinnerware. Some homeowners put in purely decorative items like plants or decoration. Just like glass, wood kitchen cabinets come in plenty of variety. Your options will depend on your budget and what you’re looking for: Different finishes, eco-friendly materials, colors, etc. Unlike other kitchen cabinet materials, wood has a warmer and cozier feel when compared with glass, metal, or tile options. Wooden cabinets make for an artistic kitchen design. To lower costs, you can choose not to get solid wood cabinets and get plywood box construction with supports. Typical choices range from oak, maple, teak, and birch. For a more eco-friendly option, choose sustainable wood like bamboo. Wood is easy to clean and maintain. Since it is enclosed, you have more options for functionality over form so you may consider adding dividers for extra storage options. Wood is also a safer choice as it is easier to mix and match it other elements of your kitchen. That is not to say you are limiting your creativity, there are lots of ways you change experiment with wooden cabinets to achieve all sorts of themes and appearances. Your cabinet material of choice will transform your entire kitchen remodeling expenditure and influence the atmosphere as well. Take your time and research as much as you can until you find the right look you are aiming for.